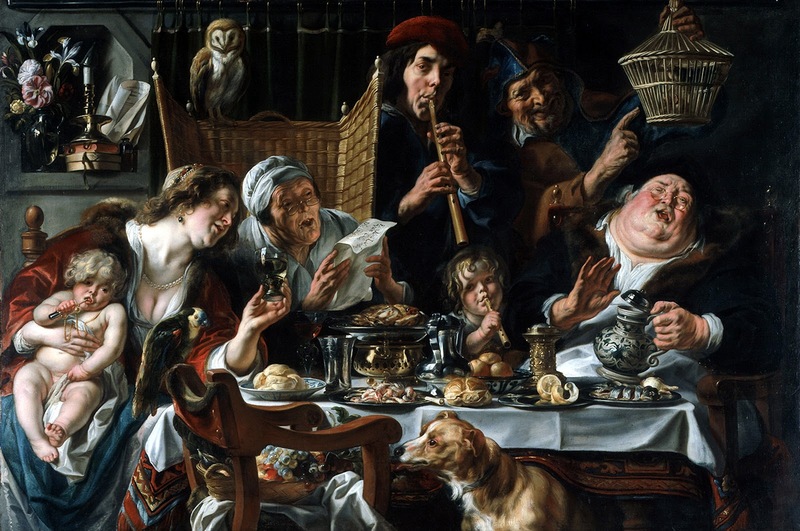 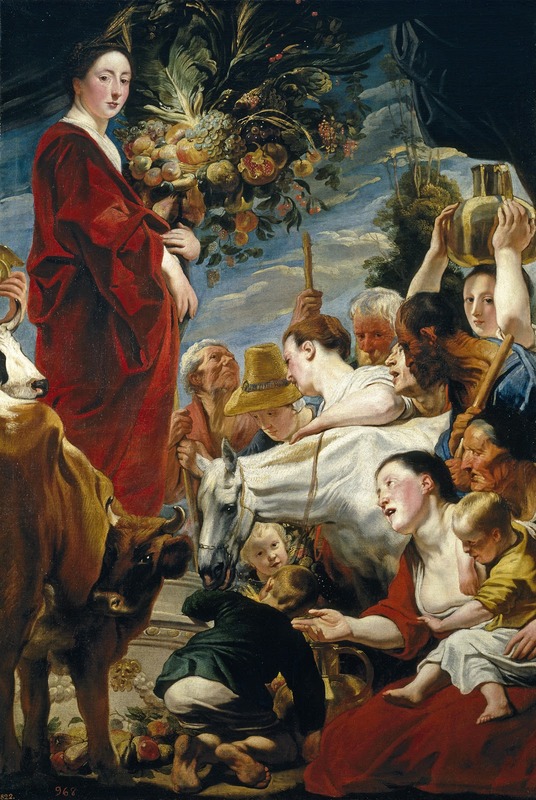 Jacob Jordaens, (baptized May 20, 1593, Antwerp, Spanish Netherlands [now in Belgium] - died October 18, 1678, Antwerp), Baroque artist** whose boisterous scenes of peasant life and sensuous allegories made him one of the most important painters of 17th-century Flanders. 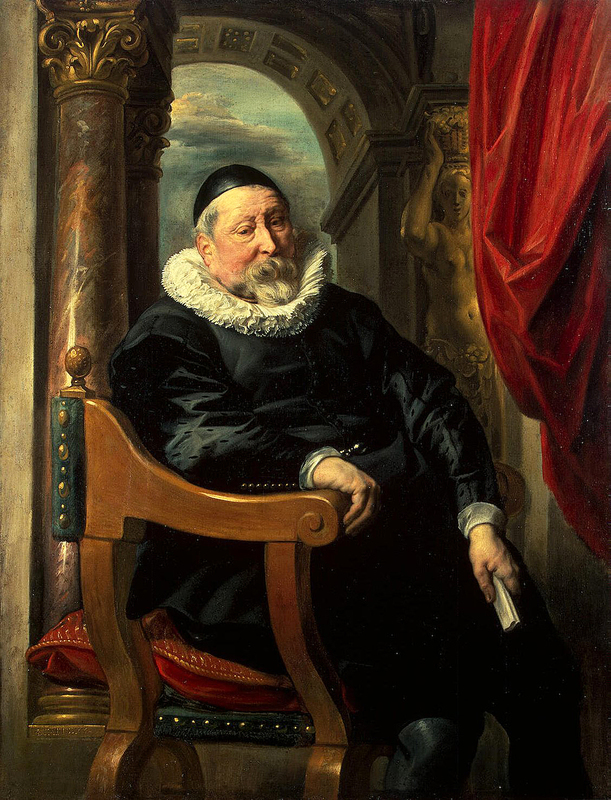 Jordaens studied, like Peter Paul Rubens**, under the painter Adam van Noort, and he married his master’s daughter in 1616, the year after his admission to the guild of painters. 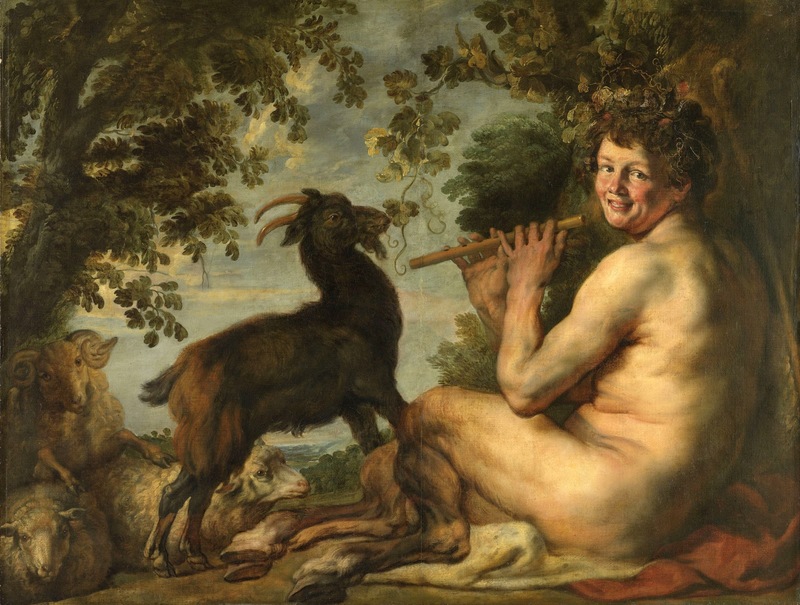 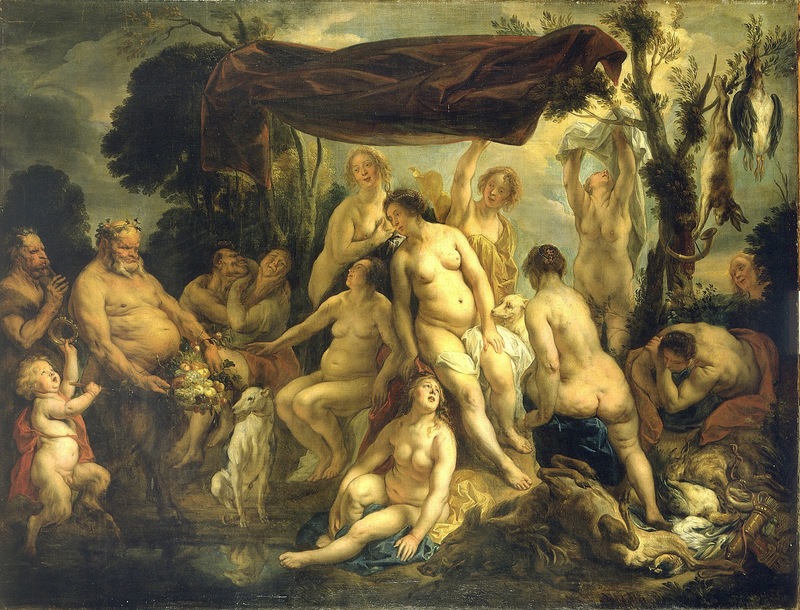 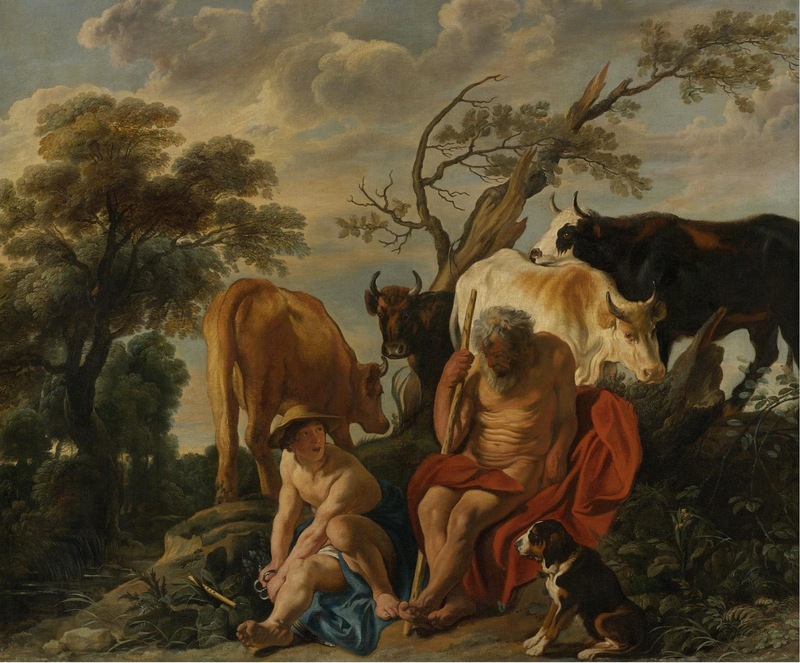 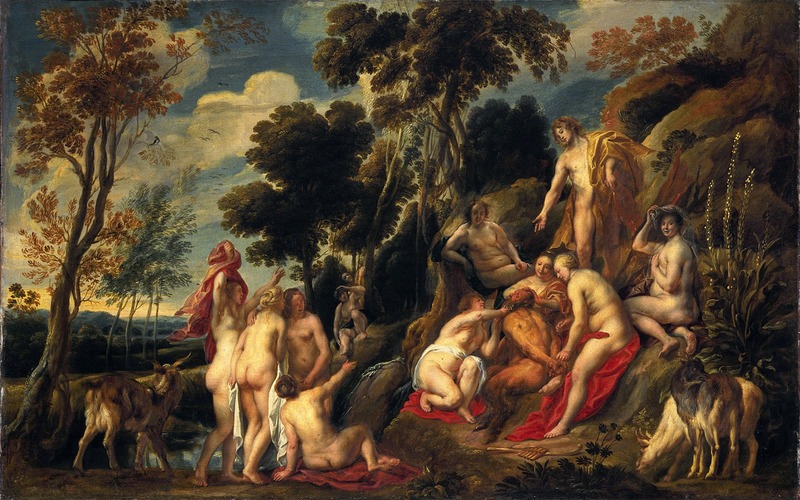 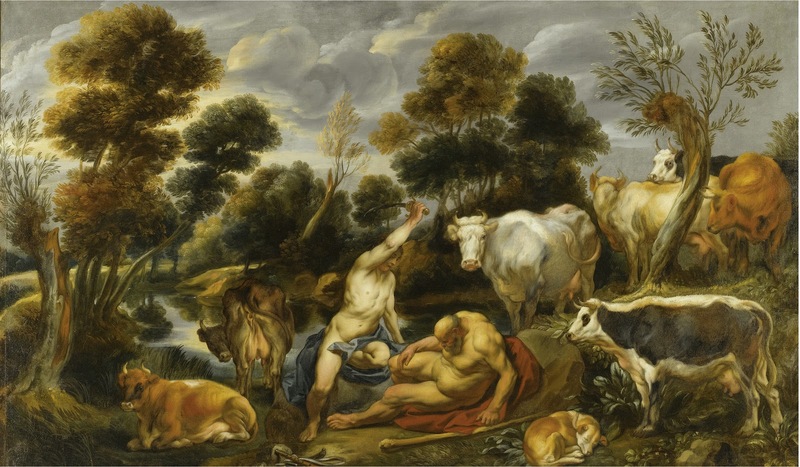 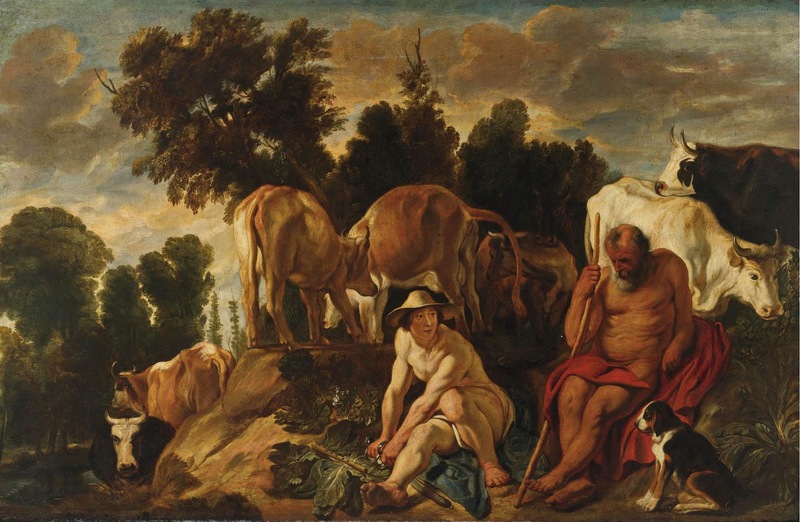 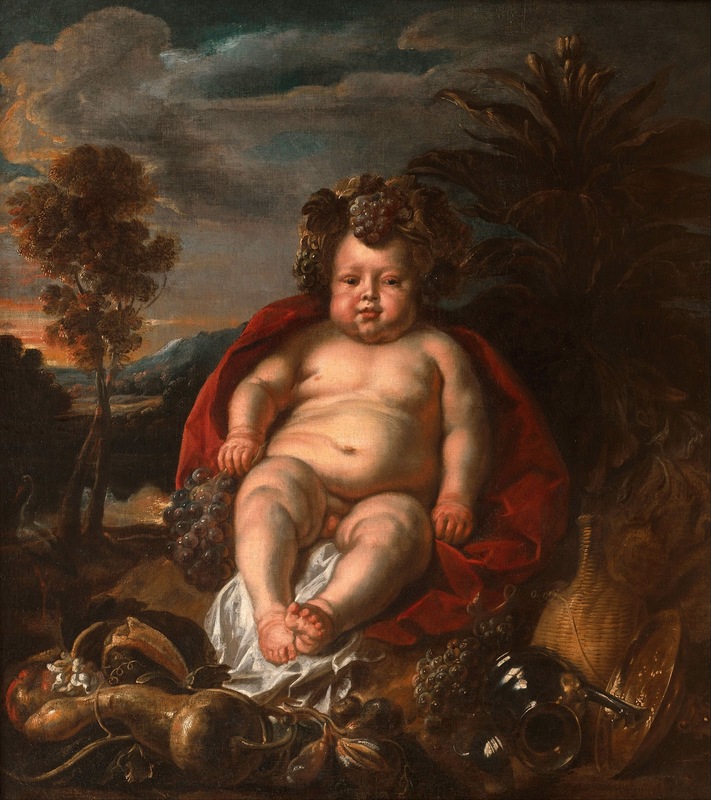 Early in his career Jordaens executed designs for tapestries, and such paintings as Allegory of Fertility (c. 1625) reveal his training as a decorator. 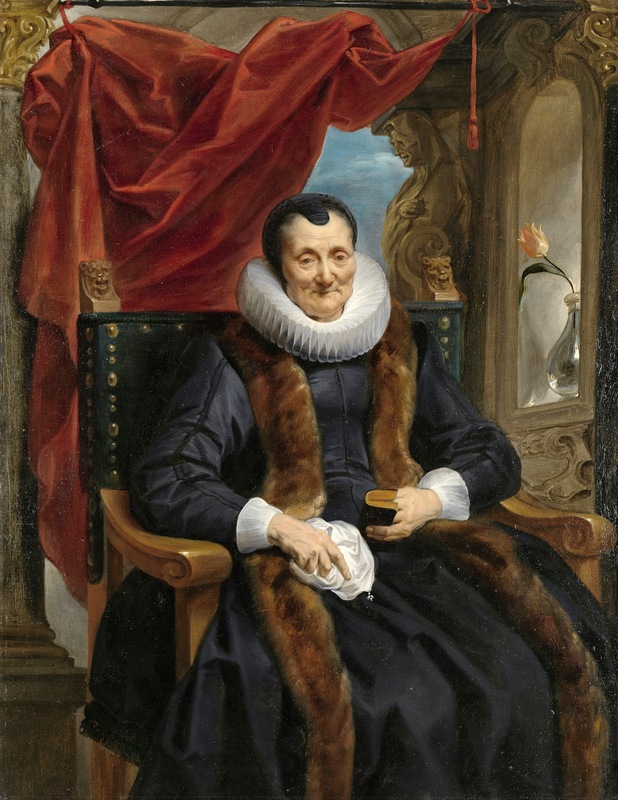 He never went to Italy as did other Flemish artists of his time, and his work is essentially Flemish in its exaggerated treatment of form and its crude humour. 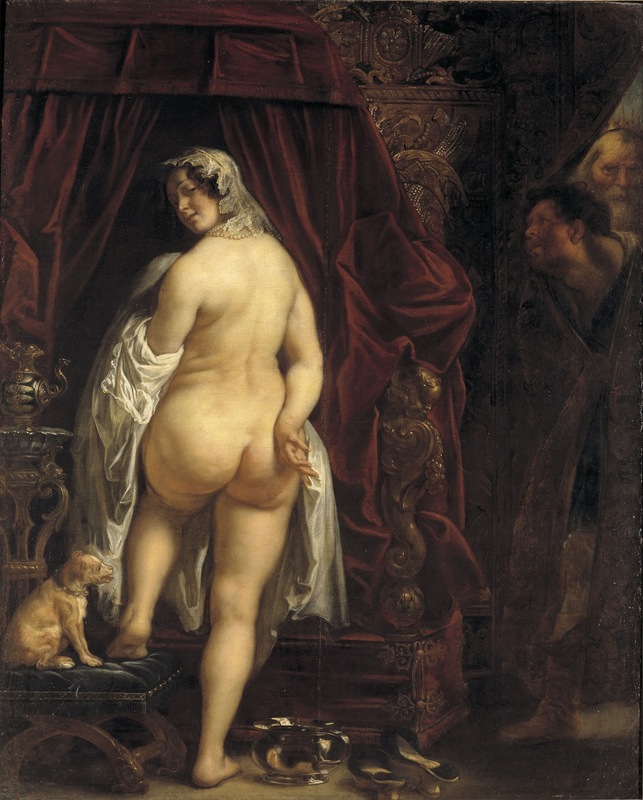 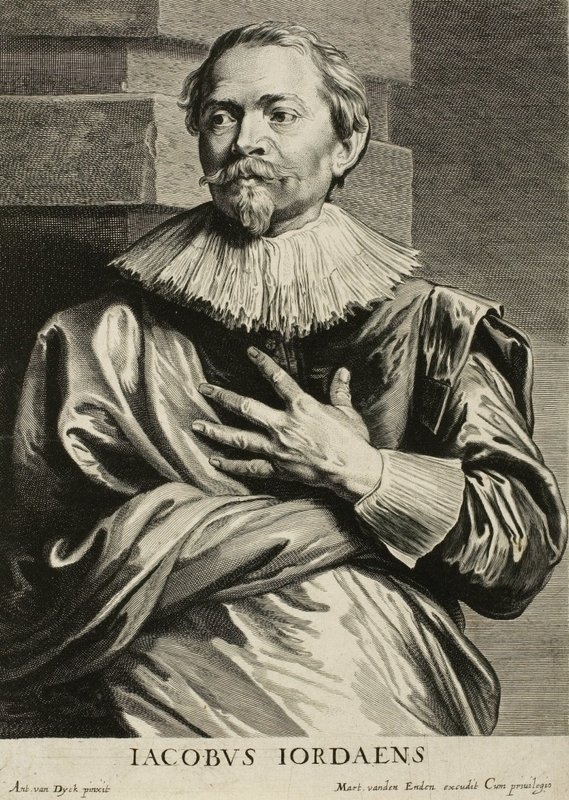 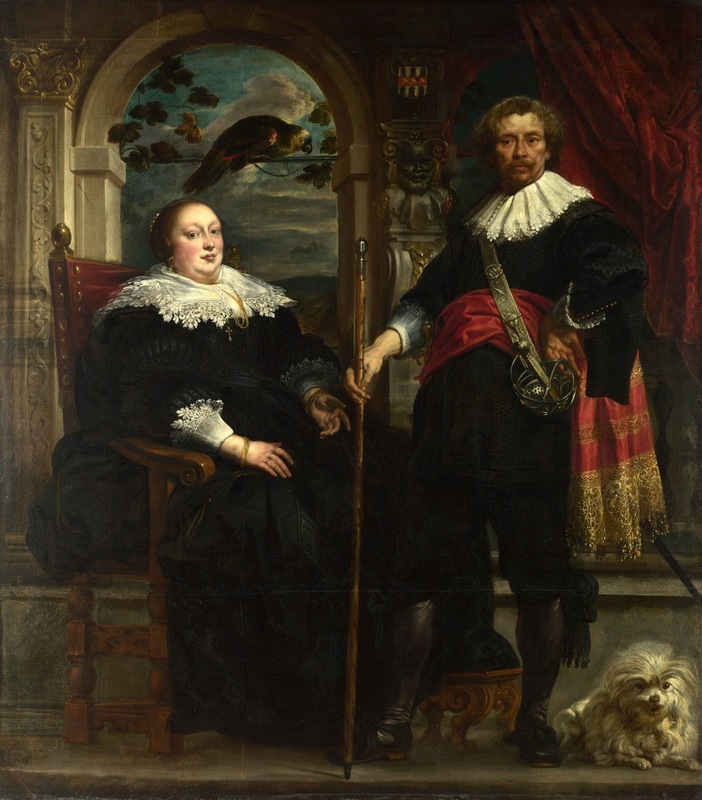 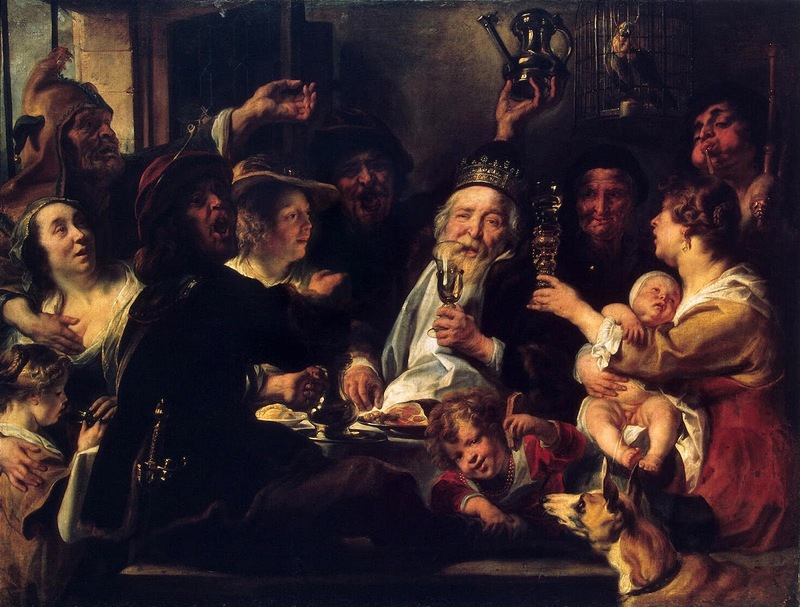 Jordaens was greatly influenced by his older contemporary Rubens**. 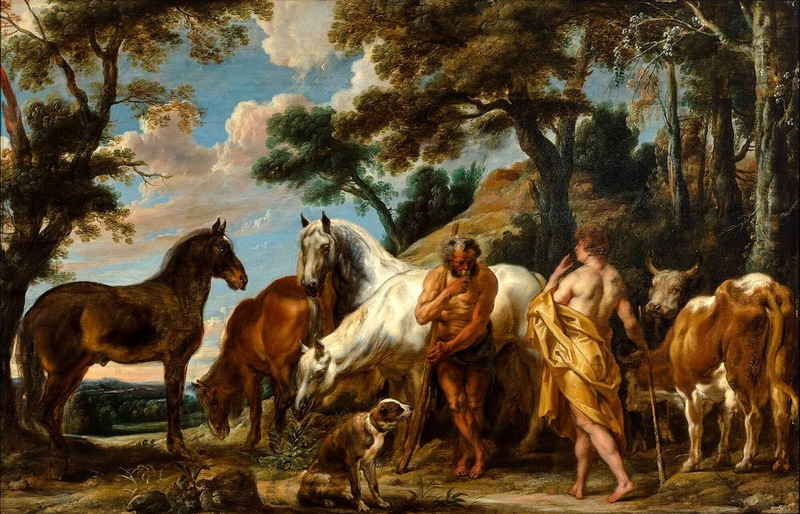 The colours of Jordaens’s paintings are warm and glowing, his figures are robust and incline to corpulence, and their faces are red and healthy. Jordaens’s paintings are particularly noted for their strong contrasts of light and shade, their compositions crowded with figures, and an air of sensual vitality that occasionally borders on coarseness. 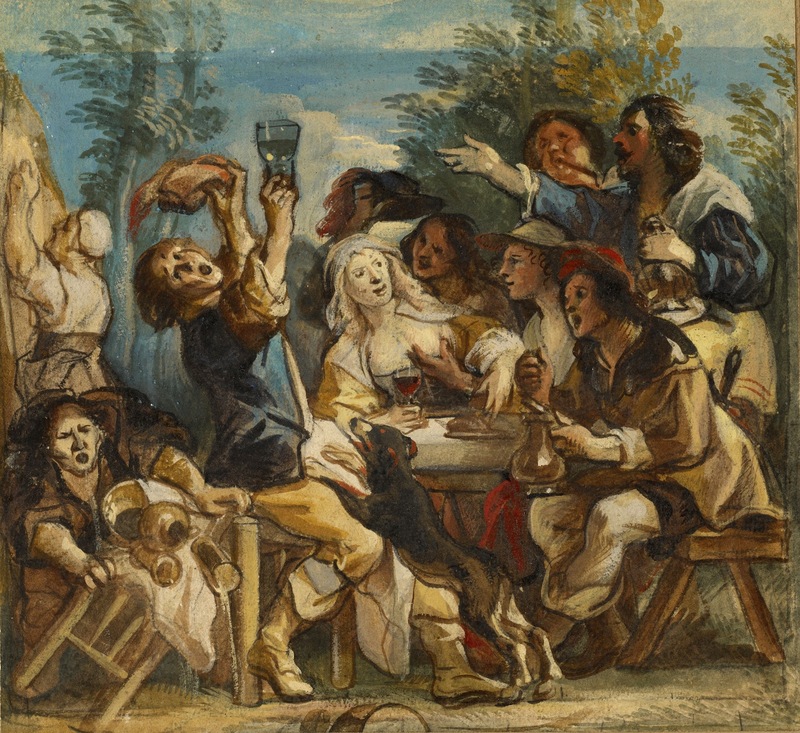 He was a prolific painter and employed many pupils in his studio to reproduce versions of his most popular pictures, such as The King Drinks and The Satyr and Peasant. 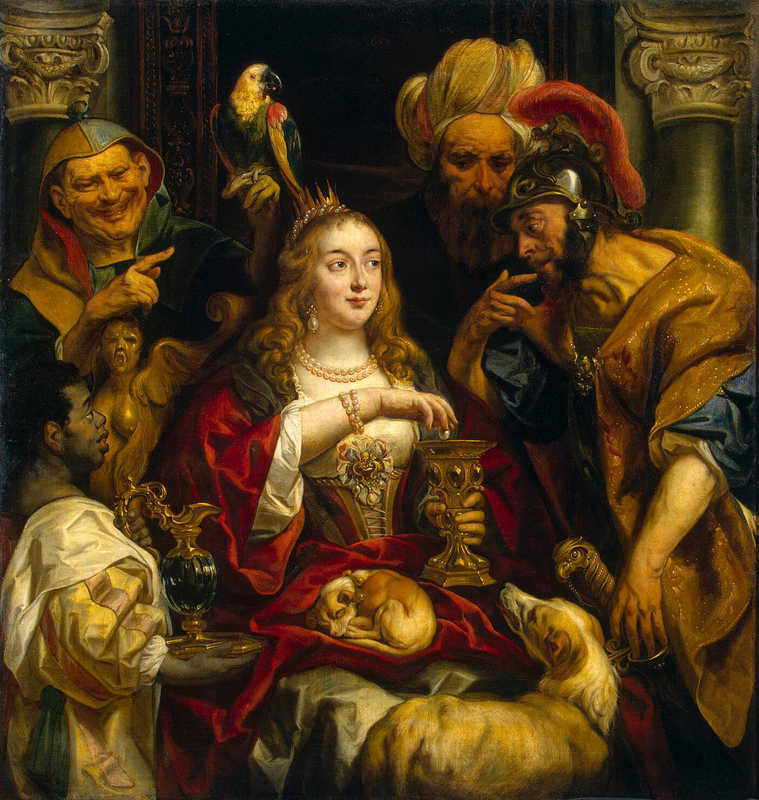 Jordaens declared himself converted to Calvinism in 1648 but received many commissions for Roman Catholic churches. 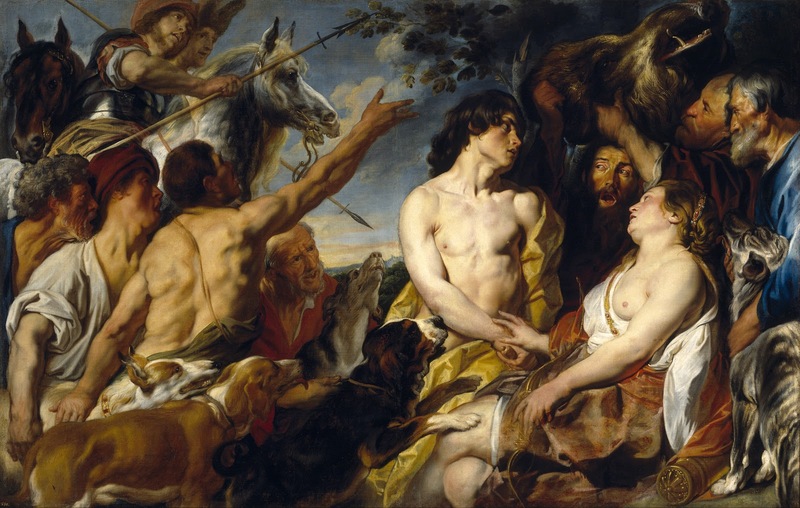 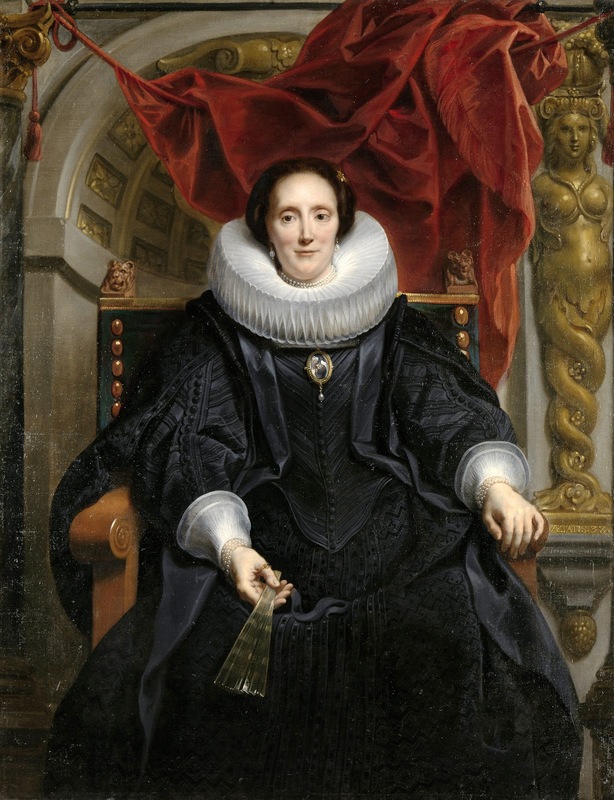 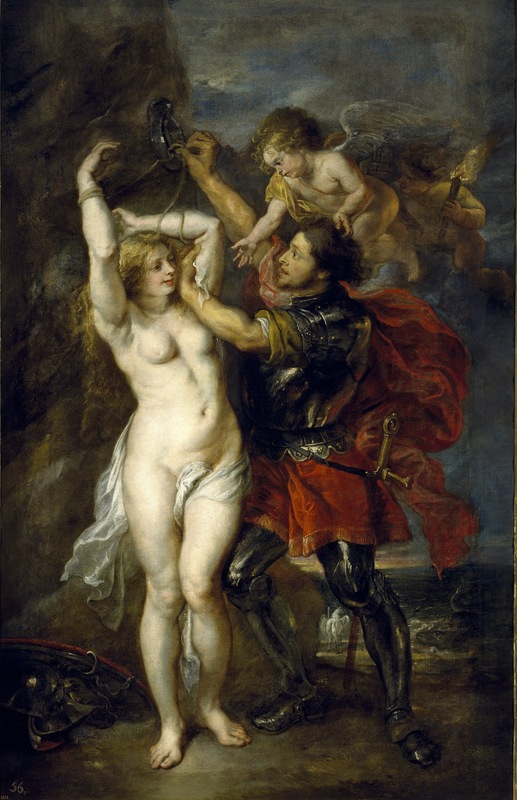 After the death of Rubens**, he was considered the greatest painter in Antwerp. 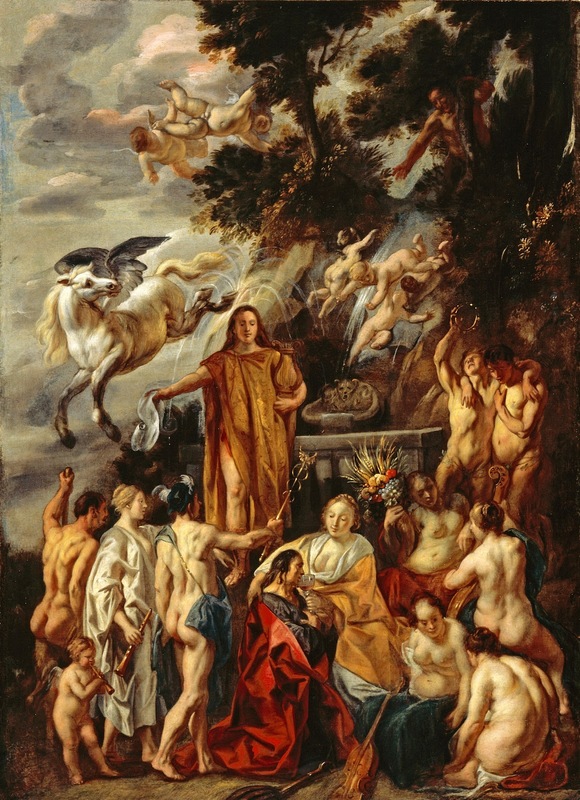 In 1652 he played a major role in the decoration of the Huis ten Bosch (“House in the Woods”), a royal country house near The Hague, with mural paintings representing the Triumph of Frederick Henry of Orange, Stadtholder of Holland and The Victory of Time. 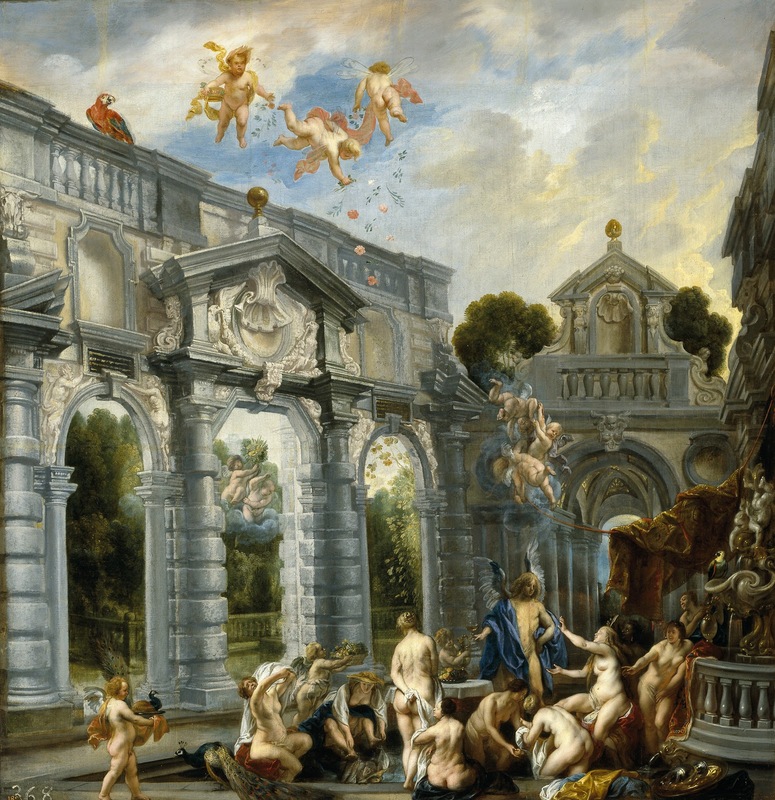 These works are masterpieces of architectural decoration, in which the complex allegory is rendered in exuberant colours and vivacious swirling lines. 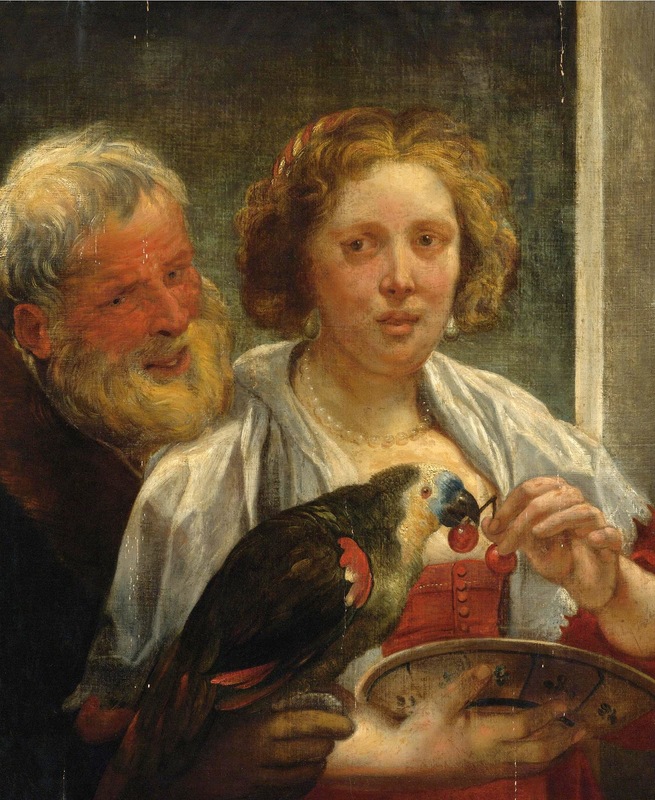 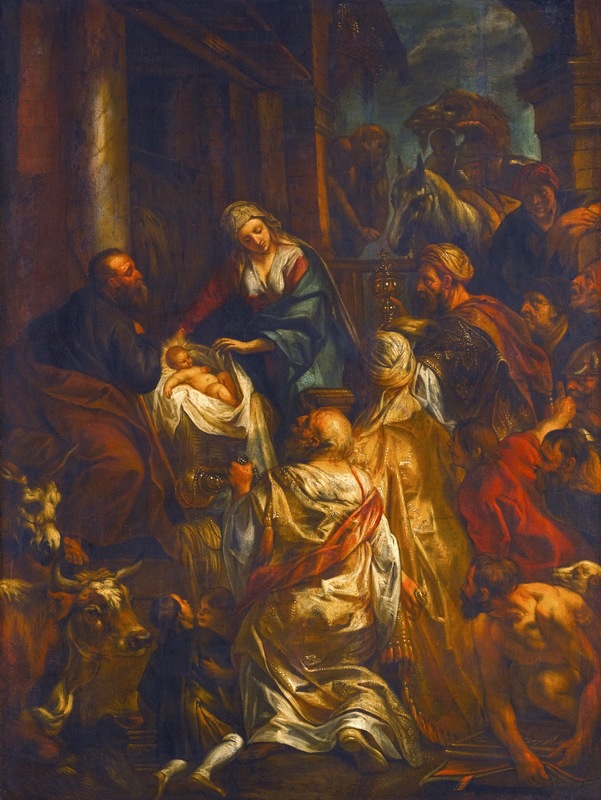 Jordaens’s later works are of uneven quality, showing the increasingly important role assumed by his studio assistants. 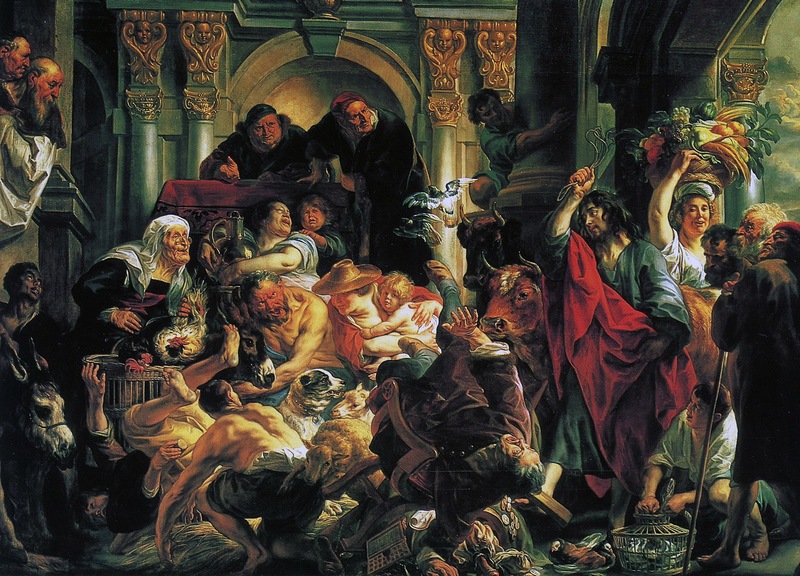 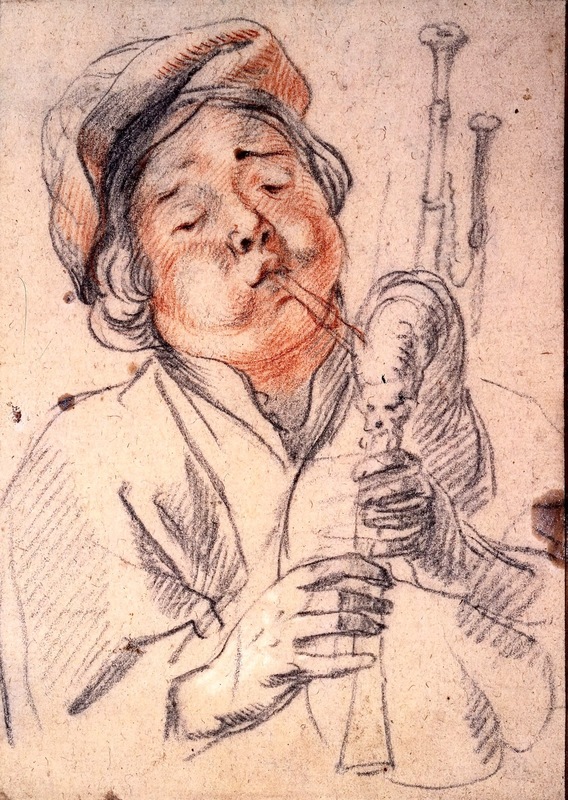 | © Encyclopædia Britannica, Inc.
jacob Jordaens (Anversa, 19 maggio 1593 - Anversa, 18 ottobre 1678) è stato un pittore Fiammingo, fra i maggiori del XVII secolo. 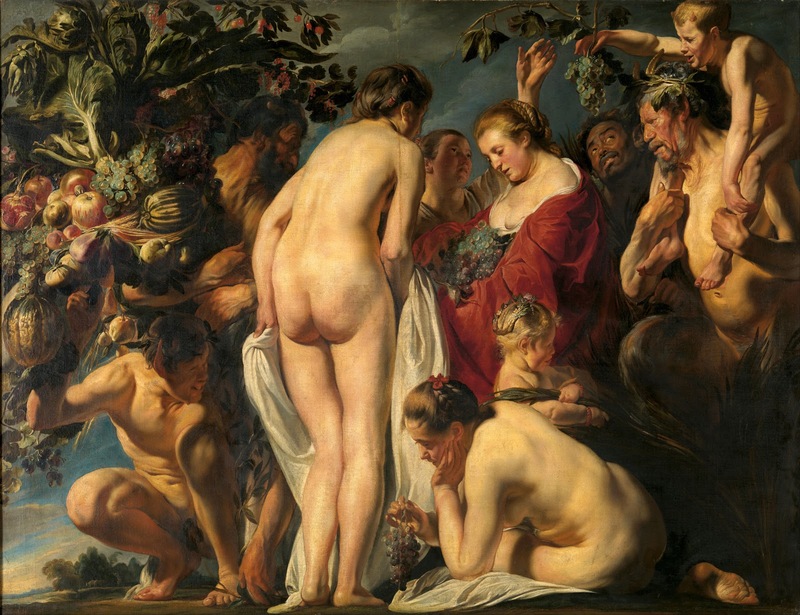 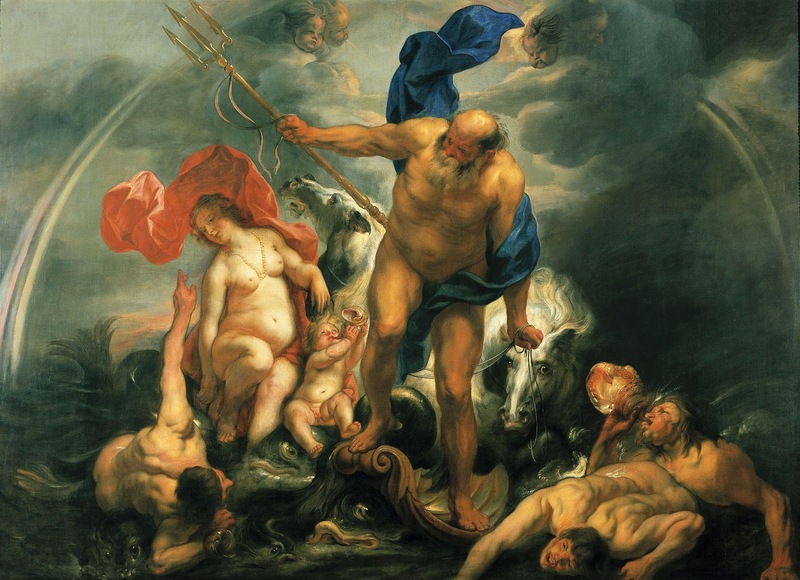 Fu allievo, con Peter Paul Rubens**, del pittore manierista Adam Van Noort, grazie al quale fu ammesso alla gilda dei pittori di Anversa. 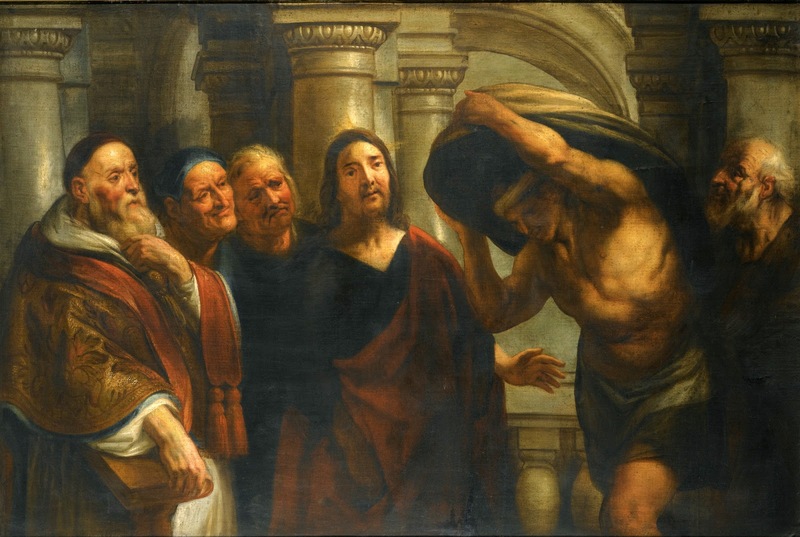 Suo padre era un commerciante di tessuti o di sete. 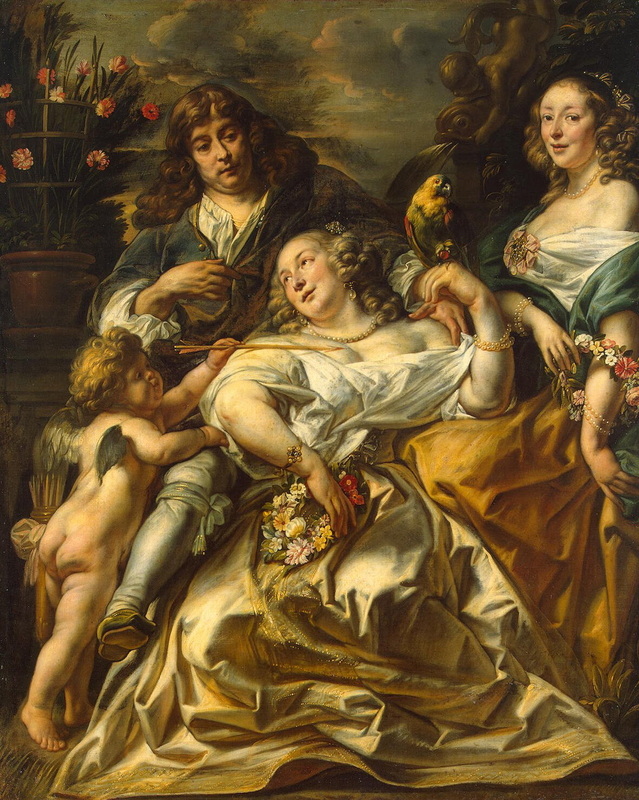 La famiglia Jordaens apparteneva alla borghesia più agiata: la loro casa si situava nell'Hoogstraat (la via alta), una delle vie più conosciute per il commercio dei panni ad Anversa. 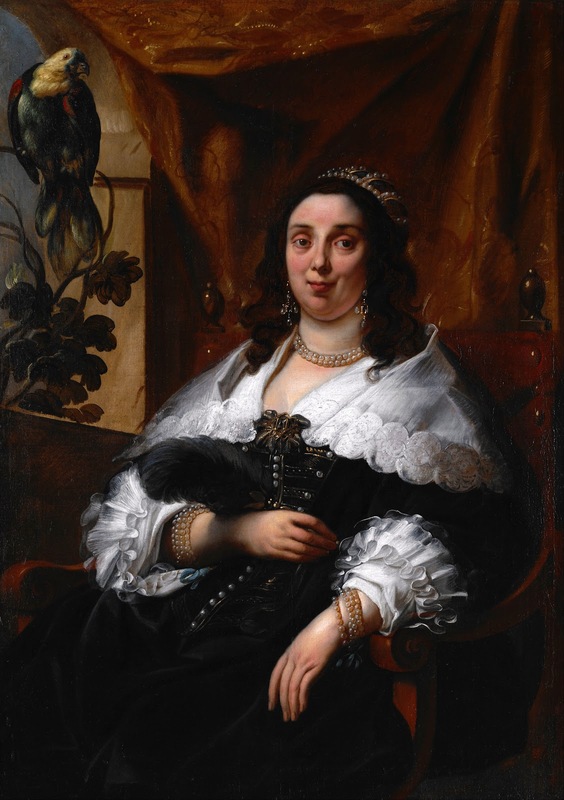 Il 15 maggio 1616 sposò la figlia minore del suo maestro Adam van Noort, Catharina, di quattro anni più anziana. 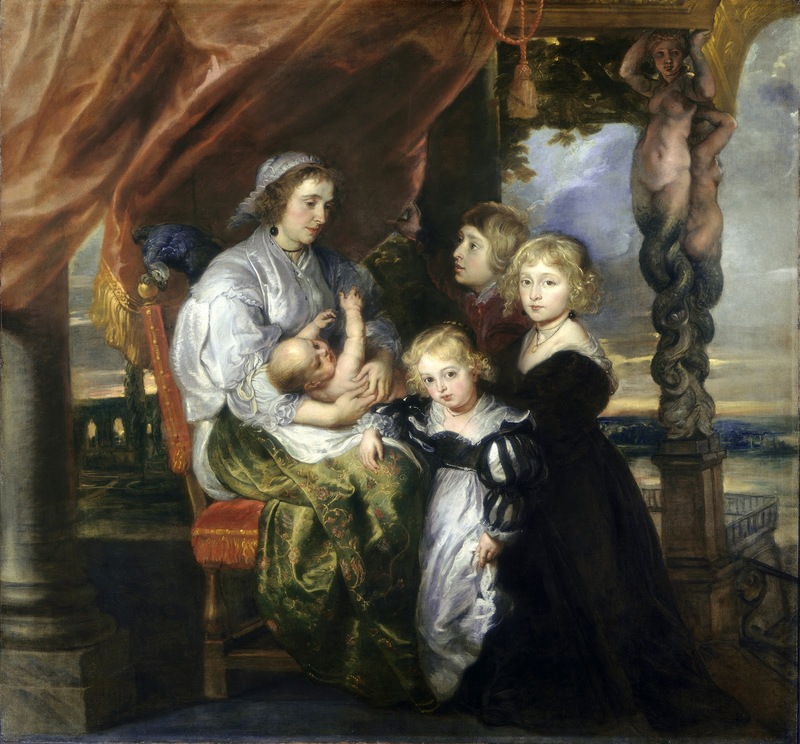 È un matrimonio cattolico da cui nasceranno tre figli: Elisabeth (1617), Jacques (1625) e Anne Catherine (1629). 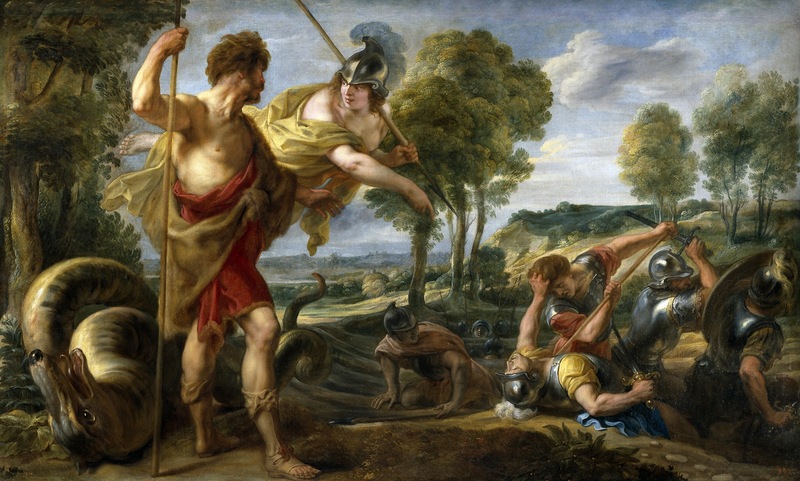 Non compì mai il tanto desiderato viaggio in Italia, cosa di cui si dolse per tutta la vita, anche se fu fortemente influenzato dalle opere dei grandi artisti del '500 italiano (Paolo Veronese**, Tiziano**, Federico Barocci) ma soprattutto di Jacopo Bassano e dei suoi contemporanei (Domenichino e Caravaggio**). 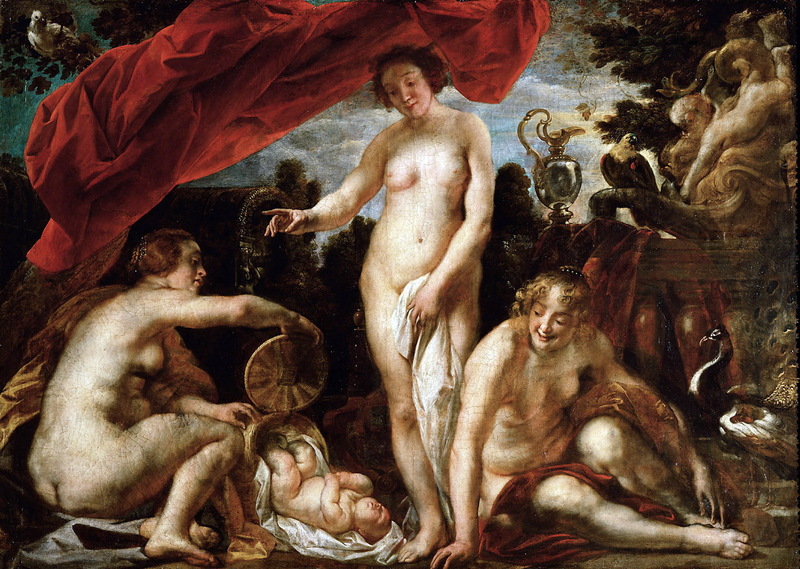 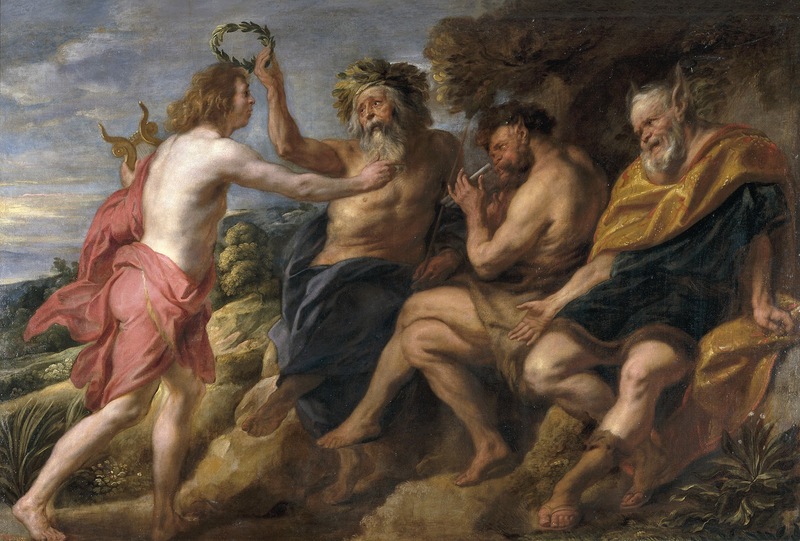 Il suo stile degli inizi denuncia la sua formazione manierista, ma poi l'abbandona e si avvicina alla maniera di Rubens, da cui si distacca per la maggiore impetuosità e per l'amore per le atmosfere paesane e domestiche. 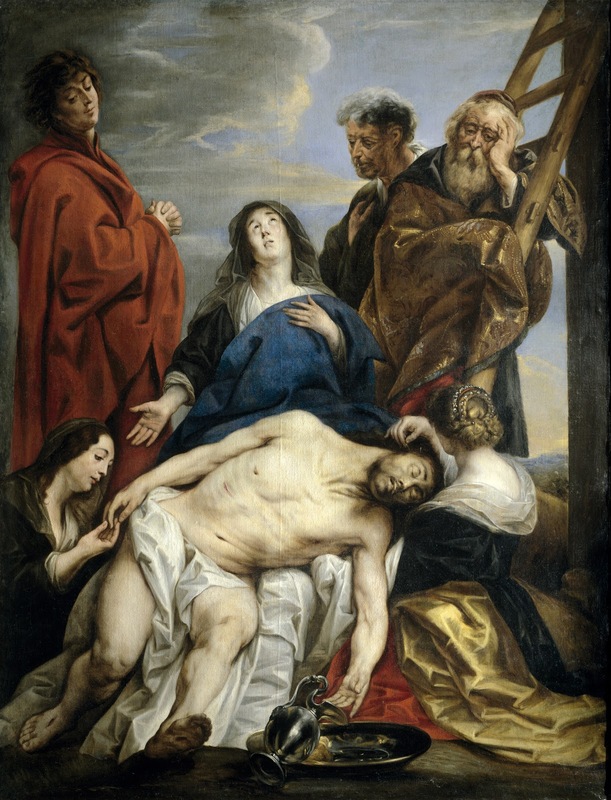 Morì ad Anversa nel 1678 dopo essersi convertito al Calvinismo.